Here in the ‘Heart of Georgia’ we enjoy the Ocmulgee River, plenty of rain and even more humidity. Not only do we deal with the Georgia humidity, your home actually produces moisture. Normal household life– cooking, washing, bathing, and exercising– produces gallons of airborne moisture inside your home daily. Moisture can also enter your house from the soil through the basement or crawl space. When the humid air cools, moisture collects as condensation; enough condensation damages absorbent surfaces while drywall and wood allow the moisture to penetrate. The consistent presence of condensation can also lead to mold growth. In addition, moisture can cause damage to the physical structures in your home. Excess humidity or condensation has caused significant damage should be referred to a local water damage restoration professional such as Southeast Restoration to restore the home with effective drying and dehumidification. When humidity settles on toilet tanks, water pipes, HVAC systems, and other mechanical objects, metal parts rust. Then, even worse, these failed parts break and can lead to broken lines and even more water damage. Electronics are especially vulnerable to condensation. Moisture can corrode contacts inside and cause short circuits. When bringing in electric appliances from your cold garage or basement; let them adjust to high humidity or drastic temperature changes before turning them on. Protect stored electronics or other valuables by sealing in closed plastic boxes and including a small dehumidifying bag. Excess humidity and moisture in the air can actually lead to mold or mildew in your carpeting. you might have to replace your carpet entirely. Too much humidity can also make your wallpaper, paint, plaster, and drywall soggy and flaky. Poorly ventilated crawl spaces and basements draw moisture from the ground and trap humidity in the air. Wooden supports absorb moisture and grow mold, which weakens the wood. Eventually, it will collapse, causing damage to your home. Out of sight, out of mind? Clothing, food, wood instruments, or other goods stored in the basement, cellar or attic can get damaged. Look out–dry foods go stale, cans rust, wooden instruments warp, and clothes take on a musty smell. Bugs thrive in humid conditions. Dust mites especially love warm temps and high humidity. Mold loves humid conditions as well. Spores are known to contribute to the development of asthma in children and cause allergies. Any water source becomes an oasis for beetles and insects. Run a dehumidifier and use (or install) exhaust fans in the high moisture areas including the bathroom, laundry room, and kitchen. Be sure they vent outside not to the attic or basement. Don’t cluster your houseplants; consider moving some outside. Plants transpire or, give off moisture. 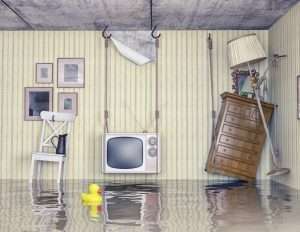 Immediately repair water damage inside your home. Get expert help from Southeast Restoration. Use a white vinegar and water solution in the shower to ward off the mold. Vigilantly check windows and glass doors; blot moisture immediately and repair all weatherstripping. Ventilate closed rooms and spaces; keep all the doors in your home cracked open slightly, especially those that lead to closets. Dark, damp places breed mold. Whether you need emergancy water damage services, or some help preveting damage to your home, SRG provides professional deodorization, complete sanitizing, air ducts cleaning, odor removal, and structural repairs. Southeast Restoration Group is licensed in Georgia, Alabama, South Carolina and Tennessee. Call 478-796-9500 or visit srgmaconinfo@southeastrestoration.com.